analysis of in-can preservatives and in-can challenge tests. We specialize in microbiological and analytical tests of construction and building industry products (paints, primers, dispersions, etc. 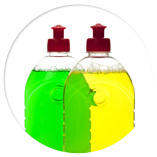 ), cosmetics and household chemistry (dishwashing liquids, washing gels, cleaning products). We test products used in various industries according to biocidal product groups lited in The Biocidal Products Regulation (previously BPD). Our laboratory offers micro­biological and application tests for chemical agents used in products for the construction and building industry. 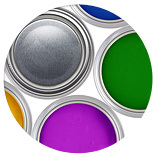 We test dispersions, paints, adhesives, plasters, putties and other water-based products as well as raw materials used for production. We perform sterility tests and in-can challenge tests. 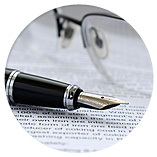 We also evaluate the efficacy of products’ preservation against microbial growth. AM Solutions has a high level of expertise in analysing problematic materials such as film-forming dispersions, plasters, etc. 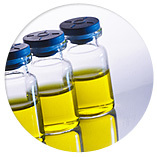 We offer high precision liquid chromato­graphy (HPLC) analyses for a wide variety of products allowing detailed characterization of a diverse range of compounds used as preservatives. Our laboratory performs microbial challenge and sterility tests specifically designed for a wide range of household products such as dishwashing detergents. 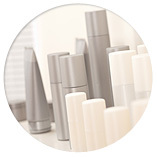 We offer microbiological and analytical testing services of cosmetics and personal hygiene products. Our services include sterility checks, challenge tests and efficacy assessment for preserva­tives against microbiological contamination. Our laboratory performs efficacy tests of biocides used as preservatives in different form­ulations. These tests take in to account the different categories and groups of products listed in the Biocidal Products Regulation (BPR, previously BPD 98/8/EC). Our test reports are accepted by Office for Registration of Medicinal Products, Medical Devices and Biocides (Urząd Rejestracji Produktów Leczniczych, Wyrobów Medycznych i Produktów Biobójczych). 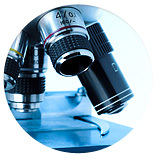 Our laboratory offers molecular biology testing services. We perform DNA sequence analyses for taxonomic purposes. We also perform molecular tests allowing to establish genetic relationship of microorganisms.